"My wish for you is to make the decision to become a Network Marketing Professional and for you to GO PRO. Because it is a stone-cold fact that Network Marketing is a better way." Get Your Copy Before They're Gone! I'll Pay for the Book, You Cover the Shipping! *The Go Pro book retails for $12.00, but we bought it for you. We just ask that you pay a small shipping fee of just $6.95 USD.We can not guarantee book delivery to the following countries: Nigeria, South Africa, India, United Arab Emirates, Peru, Chile, Philippines. Your information is secure and will not be rented or shared, ever. Path To Success: The one statement that will instantly change everything and put you on the path to success. Get Started With Little Money: How to get started WITHOUT a ton of money (unlike traditional businesses you don't need a lot of capital to get started). Ultimate "Universal" Opportunity: Why this is the ultimate "universal" opportunity… your background, experience, age, race, and gender do NOT matter. Avoid Losing The Game: The 3 categories of people in Network Marketing and how to AVOID being the two types that "lose the game" every time. Find Prospects: How to effortlessly find prospects and get them involved without being pushy or "salesy". Unburden Yourself: How to take the "burden" off yourself by using tools that your company gives you. Remove All Fear: Exactly what to say in any situation… these scripts will remove all fear about saying the "wrong" thing and make you look like a Pro. Earn More Money: The 7 learnable, doable, repeatable steps to becoming a Pro and earning more money in network marketing commissions. "Eric Worre's "Go Pro" Lives up to its title, a Captivating book taking the reader through the world of becoming a true professional in Network Marketing! Eric's real life experiences provide an abundance of insight and a practical "step by step" guide that will shave years off your learning curve!" I believe that someone considering a network marketing business should make this book their constant companion. Read it cover-to-cover, read it again to highlight important points then memorize it the third reading. No matter where you are in your decision to become a network marketing this book will give you the much needed knowledge to be a winner and a "Pro" at this type of business. Eric Worre is "Top Notch". Get this book, not only for yourselves, but for the future of your business. This book is a great tool for new network marketers. Just follow the steps. No need to reinvent the wheel. It's been done for you. Just commit the steps to memory and heart. This book should be required reading for anyone in the MLM profession. I have read other books on the subject but this one gave me my "Aha" moment! It helped me realize the mistakes I was making when presenting to prospects and how to help new partners better equip themselves for success. I love how it provides step-by-step guidelines that will work with any product in the profession. This is great book to understand how to be a part of the world of network marketing and do it the right way. No hype, no false promises, and no pie in the sky. Just the correct way to build a large organization. Eric points out the best kept secret that network marketing is the best and lowest cost way to have a business of your own. Working for someone else will not get you the dreams. READ THIS BOOK. Wow! Eric Worre really lays it out straight --- in a way that is so easy to understand and more importantly, implement. I have gained so much confidence in reading AND putting into action some of Eric's tips. I never thought about Networking until I joined my company and since reading Go Pro, I've made up my mind that I'm in this for the long haul. Eric is definitely "THE" Pro and I'm growing because of this book right here! I have already recommended this book to many. I am 69 years young and you really can teach an old dog New tricks. I could not put this book down. I have a Global team in the Company I am with. Great Company and great people. I have only been in Network Marketing for 10 years. First few years was not good. After reading Go Pro which was recommended by a good friend and team member, I really saw how I was doing just about everything wrong. I WAS AFRAID TO START WITH AND THAT LEAD TO EVERYTHING else going wrong. I have new perspectives. New Posture, New outlook. Now I know the correct way to my business. I have always cared about my team and they know it. I can only imagine how great your November event in Vegas will be. Thank you for changing my life and my grand children's future. This is an amazing book for anyone who is going into Network Marketing. The step by step systems and examples makes this easy for anyone to follow. Keep a pen and paper in hand because you will take notes. you will also read, then re-read this book all throughout your career as a Network Marketing Professional. This is a must read! Received the book the next day as i rushed it out of excitement for the read. 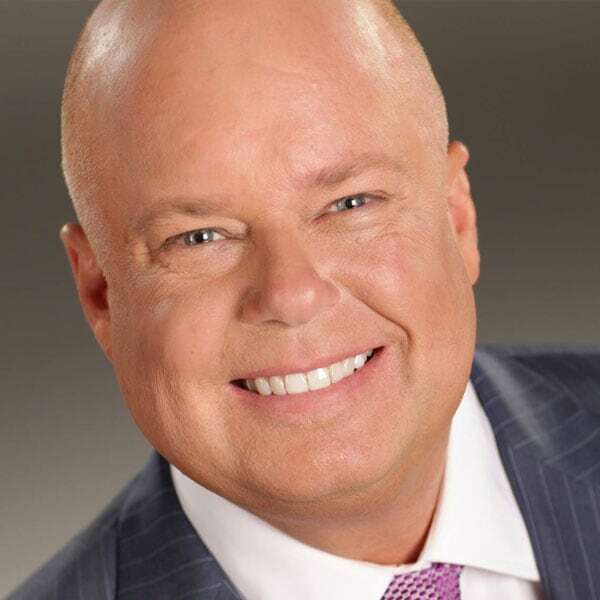 Eric Worre is the world’s most watched and most trusted thought leader for Network Marketing training and support. In 2010, he created Go Pro Recruiting Mastery. An annual generic training event that has grown into the largest in Network Marketing history with close to 20,000 in annual attendance. In 2013, he released the International best-selling book “Go Pro – 7 Steps to Becoming a Network Marketing Professional”, which has sold well over 2 million copies to date and has become a “must read” for anyone who is serious about building their network marketing business. In 2015, along with his wife Marina, he created a new annual event called "The Most Powerful Women in Network Marketing" which is already the world's largest generic Network Marketing event for women with over 5,000 attending each year. As the most sought after speaker in Network Marketing today speaking to more than 200,000 people a year, he is engaged in an effort to raise all ships and allow this profession to truly take its proper place in this world as “a better way”. © Network Marketing Pro, Inc. All Rights Reserved.